GST Bill shall have more positive impacts on the Indian business sector, even in the case of emerging start-ups and SMBs. Mumbai: Indian entrepreneurs and economic experts said approval of Goods and Service Tax (GST) Bill would positively affect businesses including emerging tech start-ups despite initial setbacks. 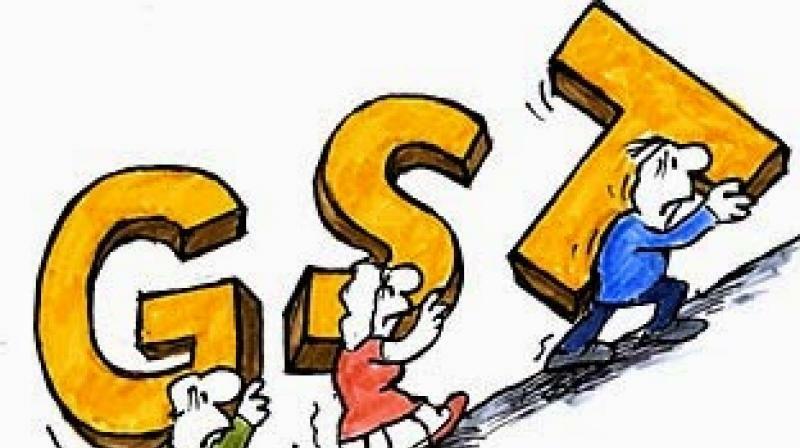 The views come after the much-hyped GST (122nd Amendment ) Bill was passed in the Rajya Sabha on August 8, 2016 after a tense session involving several varied opinions. The bill now awaits state-wise ratification after it was unanimously approved in the Lok Sabha earlier this month. According to reports Assam and Bihar have already passed the revolutionary bill. Though the ‘one nation, one tax’ bill has been touted to improve GDP and ease of doing business in India, several small-scale businesses and start-ups feared they might go out of operation due to higher tax rates. On the contrary, a Delhi-based veteran chartered accountant Sunil Trehan argued that GST Bill shall have more positive impacts on the Indian business sector, even in the case of emerging start-ups and SMBs. Trehan explained that GST would bring uniformity and centralised registration as against current Value Added Tax (VAT) regulations that businesses operating in multiple states encounter. “Under GST, businesses with turnover between Rs 10 and 50 lakh will be taxed at a lower rate which is definitely a plus point to newly established start up and small business,” he said. However, if the government refrains from offering compensation during the initial years, it would have a negative impact certain start-ups and SMBs. Counterpoint Research Analyst Tarun Pathak said simpler taxation and registration would significantly benefit IT start-ups, enabling them to focus on core business competences. Another point highlighted by Pathak under the GST regime revolves around improved logistics efficiency and inventory management. “There will be a seamless transportation of goods between states and will give a common market access across the nation which will be a great boost to start-up and IT businesses," he said. The experts pointed out that inflow of Foreign Direct Investment (FDI) can potentially hurt emerging start-ups and SMBs in the country but lower tax rates under GST would help them stabilise. Sunil Trehan said that increased FDI inflow will have a short-spanned negative impact on small scale businesses but lower tax rate combined with improved ‘ease of doing business’ would help them in long run. Senior analyst Pathak said GST would lead to inception of more innovations in the tech world but local manufacturers in the smartphone segment might lose some incentives. “In such a scenario we expect government to pitch in and come up with new incentives and policies, making local manufacturing a viable option as compared to imports,” he said. Om also stressed on the fact that the government should live up to its promise of giving relaxations to new companies to reduce burden. “Initially, it will certainly have a slight negative impact, and there will be protests but I’m hoping that the government would give some relaxation to start-ups and SMEs,” he said. The experts also agreed that IT start-ups would have to bear the brunt of initial setbacks but the modern tax reform would steer rapid growth and new opportunities for businesses in India, especially the technology sector. Om said the bill can help India can reach new heights and become one of the top 50 best regions in the world for start-ups to emerge. “It will have a far-reaching impact on bottlenecks such as production cost, production time, supply chain, compliance, logistics, etc. The overall future is bright for start-ups with the inception of GST,” Pathak said.